Among the main themes of that story are loyalty and service, values that Springsteen has always prized in both the narratives of his songs and the meta-narrative of his life as a performer. Put gently, out of respect for his memory, Clemons was a saxophonist of limited capacity. Springsteen seemed to have known this but to have valued Clemons precisely for his limits. As he once described Clemons’s musicianship in an interview, “He plays the notes you want to hear.” Speaking for myself, I would have preferred sometimes to have heard more than the same few notes, always played the same way. But I’m a minority voice in Springsteen fandom, and I see in Springsteen’s four decades of loyalty to Clemons an almost self-sacrificing act of devotion to his public. To understand Springsteen, I find, it always helps to think like a Catholic boy. When Clemons joined the E Street Band, four decades ago, he fit well in the woolly hybrid of rock and folk and funk and jazz that Springsteen was making at the time. But, as Springsteen’s musical style coalesced and his voice grew more rural (and I refer both to his musical voice and his speaking voice), there was no longer much call for Clemons’s growling sax. On stage, there was less and less for the Big Man to do but stand there, pat the tambourine, chant a bit in the background, toot a few notes, and wait for his solo in “Jungleland.” Steadily over the years, Clemons’s stage persona essentially replaced his music in the public eye, and no one mentioned the discomforting current of stereotyping in that persona. The only African American in the E Street Band, sidelined and beaming in the enormity that came almost solely to define him, the Big Man became the Black Man as a symbol of physical prowess and mystical power. Springsteen, in concerts, would introduce him with stagey hyperbole that played teasingly off that image. 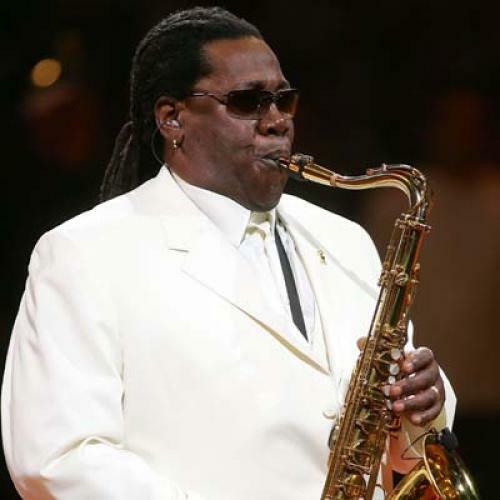 “The minister of soul, the secretary of the brotherhood,” Springsteen would call him, and scream out his nickname, “the Big Man!” He could just as well have said, “the Black Man!” It is sad that Clarence Clemons had to go for the Big Man to die.